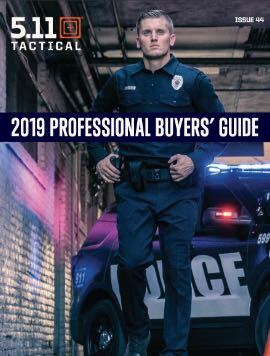 How you go about wearing your tactical pants with boots to maximize their comfort and utility will depend on their intended use. Meaning, the way you style your pant-and-boot combo will change based on the specific activity and environment, from everyday errands to outdoor adventures to reporting for duty. Use our tips to decide whether you should tuck, blouse or simply let your pants hang loose. Even on your days off, you'll enjoy wearing reliable 5.11 pants like our Taclite® Pro Pant because of the comfort and durability offered for civilian activities, like running to the hardware or grocery store, fixing up the house, or playing around in the yard with your kids. Enjoy deep cargo pockets to keep all the tools, toys and supplies you're always reaching for handy. Since these activities don't require any special style modifications, you can let your pant legs drape casually over your boots. However, dressing for streamlined performance on the job, during heavy-duty activities, or in rugged, unforgiving environments will require more attention to detail. When you're in uniform, you need to trust that your attire will let you move swiftly while remaining clean and presentable. To ensure your favorite duty or uniform pants offer maximum agility and an impeccable appearance, you'll want to blouse your pants. Blousing offers a secure hold and cleaner look than simply tucking your pant legs into your boots. 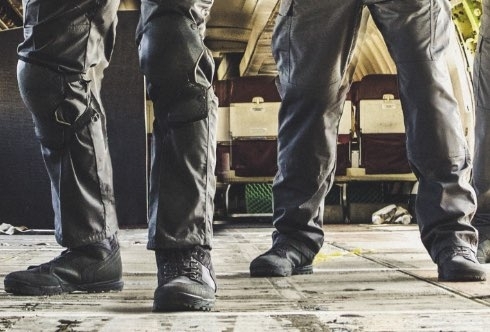 Just as you want your pants to remain secure for tactical duties, you'll want the same reliability for camping, hiking and other intense outdoor adventures. Although a uniform appearance may not be as important for nature lovers, you may still want to think twice before stuffing your pant legs straight into your boots. Blousing your 5.11 Stryke™ Pant or a similarly durable style can provide a more comfortable protective barrier to help shield you from poisonous plants, burrowing bugs, wet ground, and avoidable cuts and scrapes. Purpose-built duty pants like the 5.11 TDU® pant will often have blousing straps built-in to the bottom of the pant leg, which makes blousing particularly easy. Use the drawstring tabs to cinch the material and secure each pant leg below your boot opening. If your pants don't have this feature, you can still quickly and easily blouse your pants with these step-by-step tips. Blousing Hack: If you don't have actual blousing straps, you can make do with garters, strong string, shoelaces or even rubber bands, but an affordable pair of blousing straps will usually offer more comfort and a better fit. Put your pants and boots on normally. Lift one pant leg up to your knee, exposing the full boot and part of your leg. Place the first blousing band around your exposed leg, above the boot opening and below the calf. Secure the band using the hook and loop or Velcro® closure. Replace your pant leg to its normal position. Grab the hem of your pant leg and tuck it inward and upward underneath the blousing band so that the fabric is fixed between your skin and the band. Avoid over-tucking so you have enough slack material to adjust the pant leg over your sock and boot. Flatten the fingers of one hand to smooth the fabric around and under the band for comfort and an even appearance. Pull the pant leg over the top of your boot and adjust so the tuck is neat, comfortable and not too baggy. Repeat on your other pant leg. Put your socks, pants and boots on as usual. Pull your pants down to your ankles, over your boots. Reach inside one pant leg to locate the hem, and pull it up so the leg appears inside out. Fold and cinch the material around your leg to create a smooth line. Close a blousing band over the hem to secure it in place. With the blousing bands holding the bottoms of your pant legs in place, pull your pants back up. Adjust the blouse as needed. The pant-and-boot blousing process is as simple as that! Follow your preferred method above, and you'll be ready to face whatever the day brings with properly bloused 5.11 tactical pants.